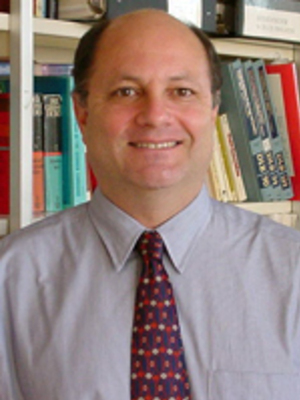 Research interests: Yiddish phonology and morphology; history of the Yiddish language; Yiddish linguistic geography; general historical linguistics, Post-Yiddish Jewish ethnolects (especially of German and Dutch); use of language in Jewish cabaret; ethnography of Ashkenazic Jewish speech/the linguistic performance of Jewishness. Edited volumes: Studies in Jewish Geography. Special Issue of Shofar: An interdisciplinary journal of Jewish studies, Vol. 17, No. 1. Fall 1998. When Languages Collide: Perspectives on Language Conflict, Language Competition, and Language Coexistence. Edited by Brian D. Joseph, Johanna DeStefano, Neil Jacobs, and Ilse Lehiste. Ohio State University Press. (2003). Articles on: Hebrew-Aramaic component in Yiddish; Yiddish phonology; Yiddish morphology; history of the Yiddish language; Yiddish linguistic geography; hyperforeignism in general linguistic change; diglossia; ethnogeographic information systems (EGIS) for mainframe and pc; Jewish-German; Jewish cabaret. Major courses taught: History of the Yiddish language; Yiddish linguistic geography; language and society in interwar Vienna. Newer teaching projects include: a group-studies course in the Department of Spanish and Portuguese under the rubric Spanish 694: "Introduction to Papiamentu language and Culture".